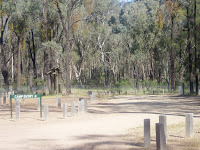 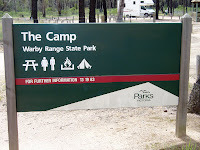 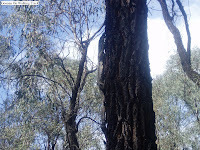 Located about 21k North West of Wangaratta and reached by travelling along Boweya Rd and then North along Camp Road is Forest Camp Camping area. 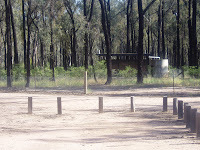 This level, shaded, well laid out camping area has a large shelter shed, tank water suitable for washing, a long drop toilet, picnic tables and wood fire BBQ’s. 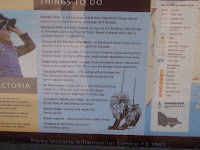 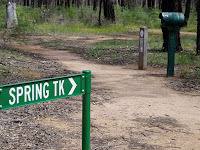 There are several bush walks including Spring Track that is an easy walk for anybody and takes you through an Iron Bark Forest with low new growth bushes. 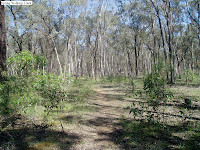 Wild flowers are scattered throughout the area and there are plenty of birds for birdwatchers. 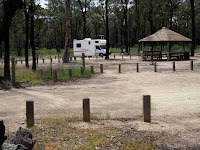 The dirt track to the campsites is very good with few corrugations. 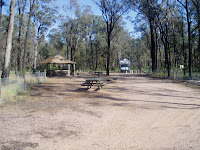 We enjoyed our stay here over a weekend and had no visitors either day trippers or overnighters.